Soon after that, we switched cameras when I discovered that my life was too easy with a point and shoot and I decided to give myself a harder time in taking pictures. The complexities of handling a heavier camera with so many buttons was just my thing and giving my shoulders the extra heavy weight gave me an odd satisfaction. Not to mention that I always fall behind from my family because of the need to change lenses every meter. Of course I'm kidding. But I do love the feeling of holding that camera in my hands and presenting anything that I find of interest through my lens. I had been writing about San Marino and I should at least write something about this recipe. The pasta was a product of my food shopping in a regional market in Rome. There were a lot of stalls of regional products by small producers and there was a particular stall that attracted my attention and wallet. Yes, I got a lot from that happy lady! But I am happy with my purchases too. Where else can I get flavored pasta? 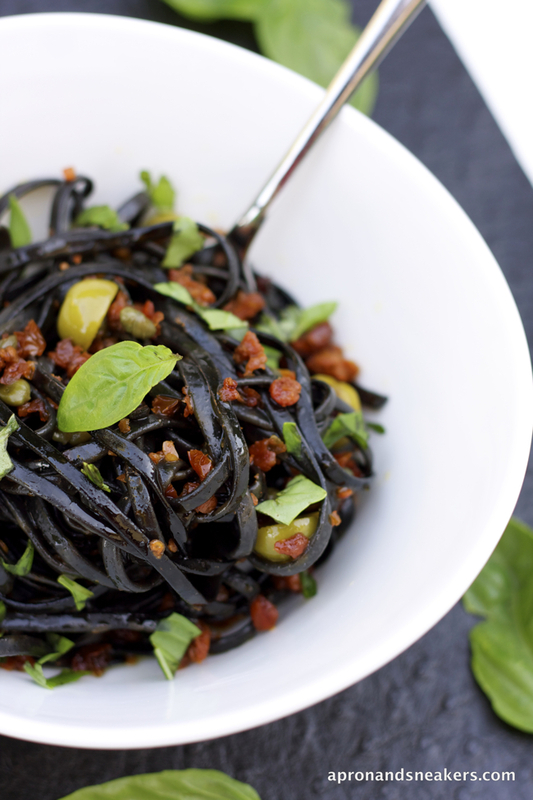 One of these packages is this black ink squid linguine that I used in this recipe. I liked it because it didn't stain anything especially my teeth and lips. You don't need a bib to eat it. In short, no one on the table looked like a monster with black mouth! 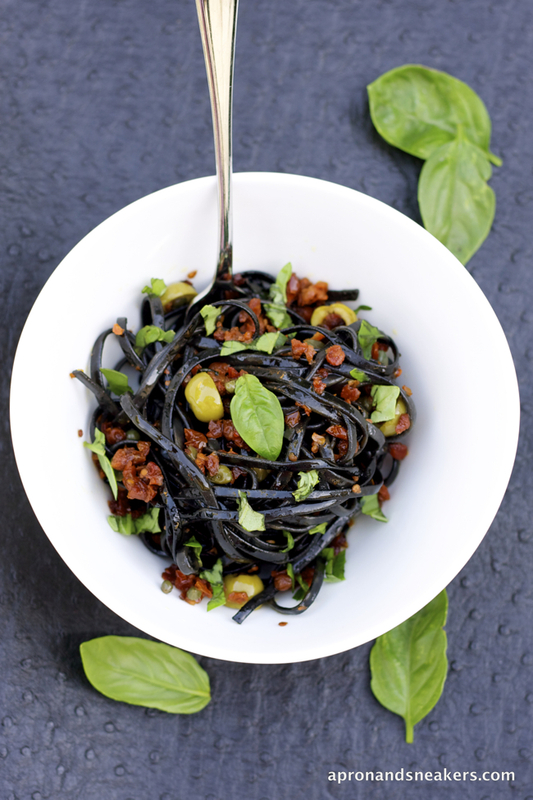 We all love the linguine al nero di seppia (cuttlefish black ink) that I usually cook but it never made me sit still and enjoy the food because eating becomes a game of hit and miss. Here is a recipe that is purely and simply Mediterranean in character. Mediterranean diet has always been and will always be good for our health. It's one of the reasons why UNESCO's World Heritage classified it as an Intangible Cultural Heritage. 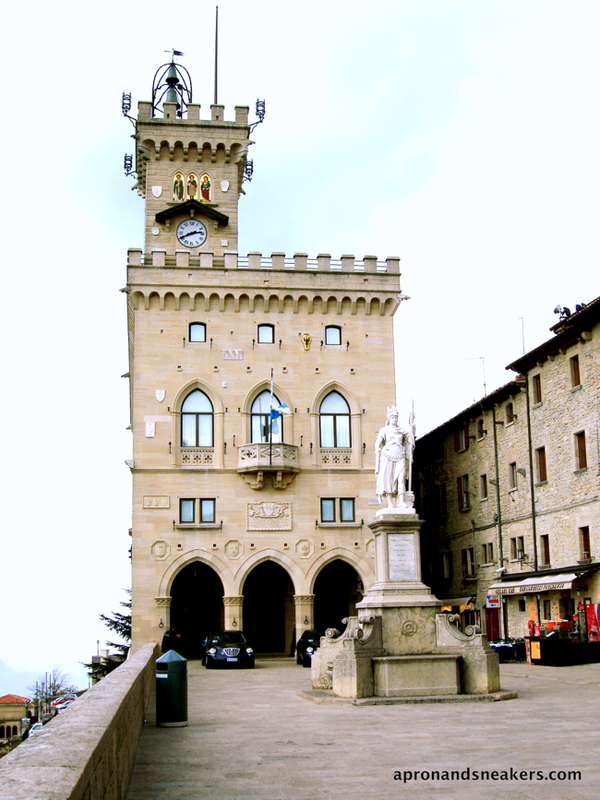 I have written about the connection of the Republic of San Marino to its neighboring hilltop town, San Leo in my previous post, so we know that the founders were lifelong friends who fled to Monte Titano during the Diocletanic Persecution. 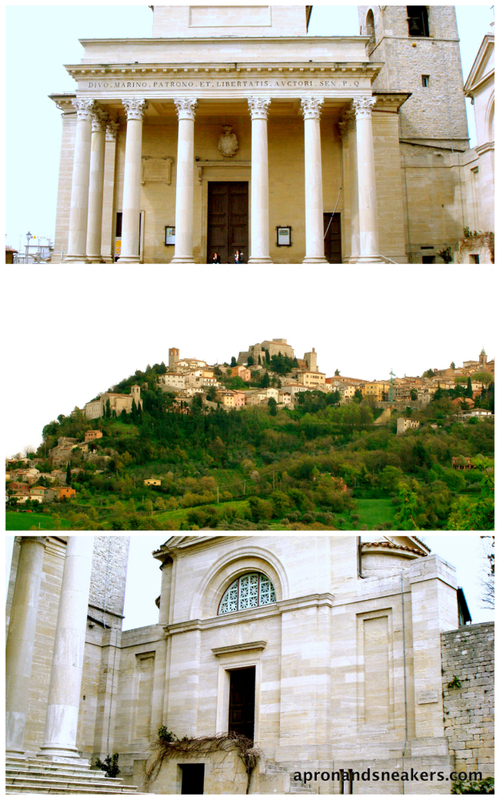 Monte Titano is where San Marino built a small church and founded what is now the city and state of San Marino. The official date of foundation of the Republic is 3 September 301. 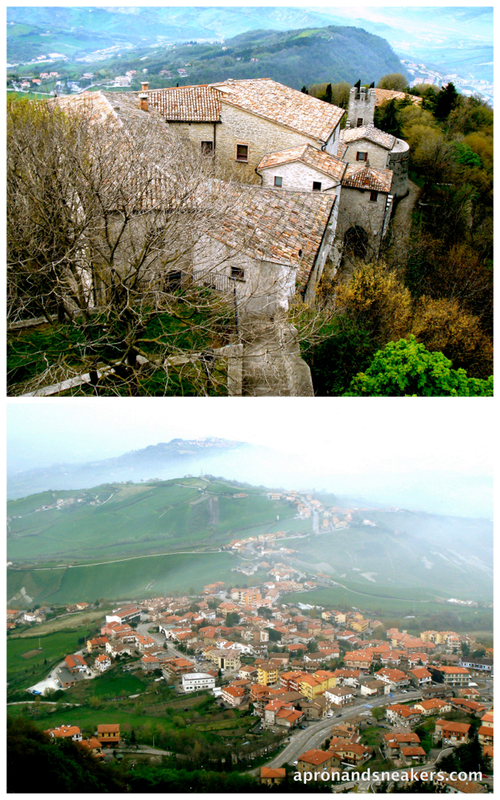 San Leo, on the other hand moved to nearby Monte Feltro to build his own church and lead a monastic life. A community was formed by mid-5th century and because of the inaccessibility of is location and poverty, it remained independent. 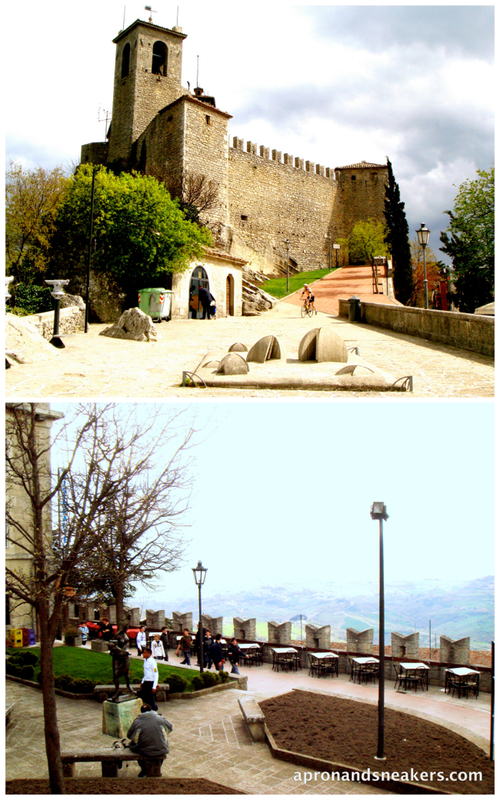 In 1253, San Marino declared itself a republic but it was only recognized by the Pope as an independent state in 1631. 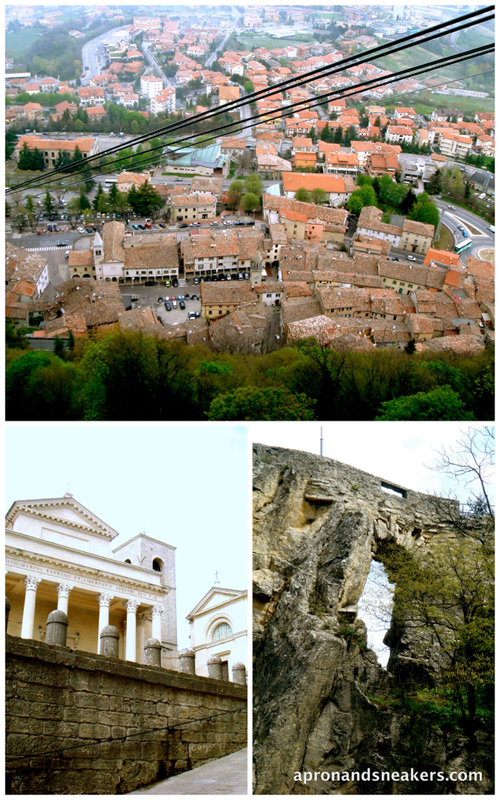 It's the third smallest country in Europe, with Vatican City and Monaco preceding it. It is not a member of the European Union but it is allowed to use the Euro currency. It has no level ground, just hilly terrain. 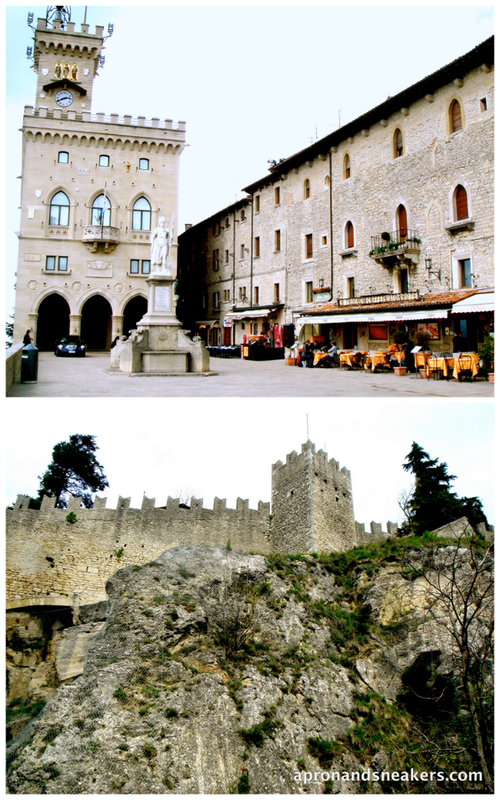 It is divided into nine municipalities called castelli (castles). If you want to know more about this beautiful country, you can refer to Wikipedia where I got most of this information. Like the town of San Leo, it also joined the list of UNESCO's World Heritage Sites. For this reason alone, you can understand that it's a place to visit. I hope you learned a thing or two about this small country inside Italy. Thank you for reading! Boil water for the pasta. When the water boils, add salt. Add the pasta and cook according to the cooking time suggested in the package. In the meantime, sautè the garlic in a saucepan with extra virgin olive oil. When the garlic turns golden, discard it. Add the sun-dried tomatoes and toss in the oil for about 2 minutes. Add the olives & capers. Toss altogether for 5 minutes. Add the cooked pasta to the saucepan with a couple of tablespoons of water you used for cooking the pasta. 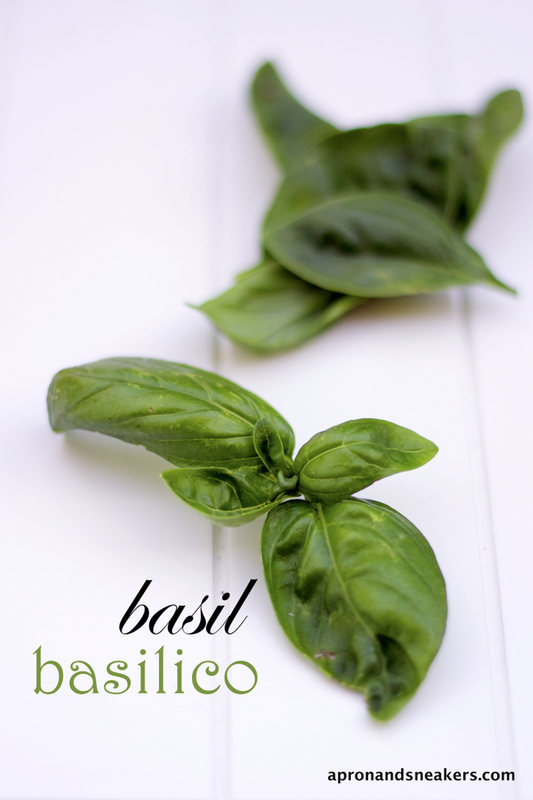 Sprinkle the chopped basil and drizzle with more extra virgin olive oil.